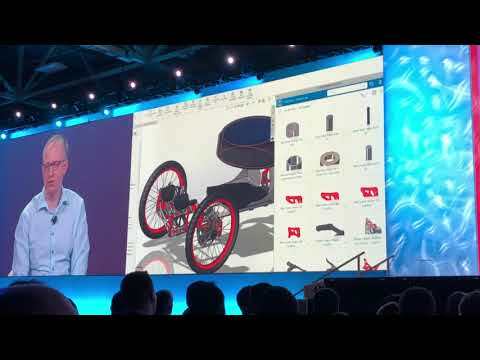 I’m continuing to digest and share information about what I’ve seen last week at Solidworks World 2019 in Dallas. Today I want to focus on how cloud applications (or how DS is now calling “platform”) can help to collaboration and work together online. The amount of publication about cloud collaboration and improved communication done in the past 5-10 years is enormous. New startups and established vendors made applications and experimented with technologies. The value of cloud collaboration is obvious, but the question is how to pull a trigger in the right way so it will be beneficial and easy to use in current and future design and engineering workflows is tricky. The high-level message from Solidworks VP Research and Development Manish Kumar was simple and straightforward – new generation of people like apps. The question how to get apps to Solidworks users and mechanical engineers is still a question, in my view. Time ago, I wrote about xDrive – a cloud storage and collaboration application. 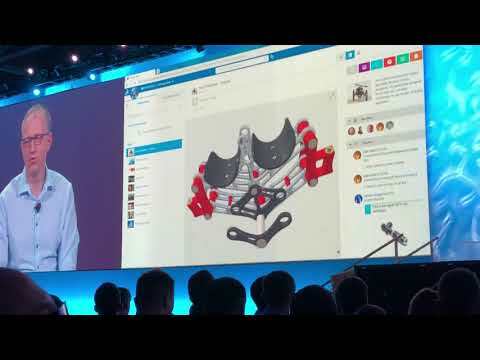 Check my 2 years old article here – Solidworks cloud development is in full swing and here Connecting dots between Solidworks, 3DExperience and Zero files. 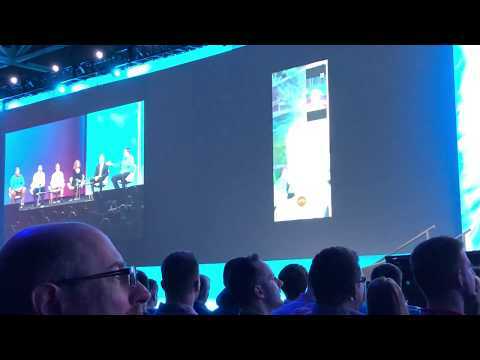 The presentation of apps at SWW2019 was impressive. Solidworks presented few applications to demonstrate the opportunity and functions of 3DEXPERIENCE 3D Drive, Swym, and mobile application. Check this video demoing how you can drag files from your local drive and turn it in the content online available for collaboration and viewing. This video shows social collaboration and communication a-la Facebook and many other social platforms. Last, but not least, the following video shows you how 3D Drive can be used from mobile devices. Dassault Systemes Solidworks isn’t the first bringing “cloud storage” functions and collaboration capabilities. Autodesk A360 was introduced already few years ago. Recently Siemens PLM introduced Solid Egde Collaboration Portal. Onshape Enterprise versions gives you also a capability to collaborate in a very similar a-la Facebook style. Few other vendors to be mentioned – GrabCAD and Kenesto in the same context.